Bruce Powel Douglass is the Chief Evangelist for i-Logix, a leading producer of tools for real-time systems development. 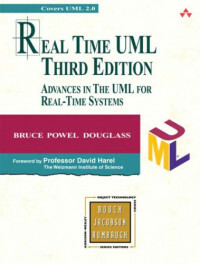 He contributed to the original specification of the UML and to the UML 2.0 as one of the co-chairs of the Object Management Group’s Real-Time Analysis and Design Working Group. Bruce consults for a number of companies and organizations, including NASA, on building large-scale, real-time, safety-critical systems. He is the author of seven other books, including Real-Time Design Patterns (Addison-Wesley, 2003) and Doing Hard Time (Addison-Wesley, 1999).